The Consumer Financial Protection Bureau was created to protect consumers from illegal and unfair practices in the financial marketplace. Since the bureau began operating in 2011, it has brought major legal action against credit card issuers for unfair marketing practices. Many major credit card issuers have been required to refund millions of dollars to cardholders for the deceptive marketing of add-on products like credit monitoring and payment protection services. In July 2015, Citibank was ordered to refund $700 million to 8.8 Million cardholders who were victims of deceptive marketing, unfair billing, and unfair collection practices related to credit card add-on services and expedited payment fees. 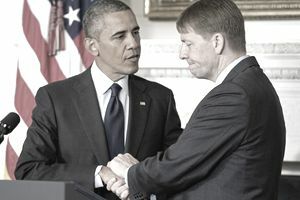 In a press release, the CFPB reports Citi and a subsidiary deceptively marketed products with a 30-day free trial, failed to properly disclose credit monitoring benefits, enrolled cardholders without explicit authorization, and failed to alert cardholders when they were ineligible to receive the benefits of the services. Citi also has to refund cardholders who were unfairly charged an expedited payment fee because cardholders were charged without being informed of the true purpose of the fee and were not given no-fee options for making payment. Citibank is required to reimburse all affected cardholders (no action is required for cardholders to receive their refund), end all unfair billing and illegal practices, pay a $35 penalty to the CFPB, and a $35 penalty to the Office of the Comptroller of the Currency. In September 2014, U.S. Bank was ordered to refund $48 million to consumers who suffered because of illegal billing practices related to add-on products for credit cards and other bank products. Cardholders were billed for credit monitoring products before the bank obtained written authorization. According to the CFPB, credit monitoring services were, in some cases, not performed at all or were not being performed completely and cardholders paid for these services for several years. In some cases, fees for the services caused cardholders to exceed their credit limits or to be charged unfair interest. U.S. Bank did not provide the credit monitoring services directly, but referred interested customers to a third-party company, Affinion, according to CNN Money. The bank ended its relationship with Affinion two years ago after learning about the issues with billing and services. The CFPB is requiring U.S. Bank to stop unfair billing practices, refund a full $48 million to more than 420,000 customers who enrolled in credit monitoring. U.S. Bank has to pay a $5 million penalty to the CFPB's Civil Penalty Fund and a $4 million penalty to the Office of the Comptroller of the Currency. Current U.S. Bank customers will receive a credit to their account and former customers will receive a check in the mail. In June 2014, the CFPB ordered GE Capital Retail Bank to pay $225 million to customers who were victims of deceptive marketing of its add-on debt hardship products and discriminatory credit card practices for settlements on delinquent accounts. In marketing its add-on debt cancellation products, GE Capital deceived customers about the service pricing, eligibility, and the timeframe for enrolling. GE Capital has to refund $56 million to consumers affected by this practice. In addition, GE Capital failed to extend its debt cancellation services to customers who indicated they speak Spanish or who had addresses in Puerto Rico. This practice was a violation of the Equal Credit Opportunity Act which prohibits creditors from discriminating against customers based on national origin. GE Capital is required to refund $169 million to the customers who were victims of this discrimination. The CFPB is requiring GE Capital, who recently changed its name to Synchrony Bank, to pay a $3.5 million fine. In April 2014, Bank of America was ordered to refund $727 million to consumers who were victims of deceptive marketing and unfair billing practices for the card's payment protection and credit monitoring services. For about two years, Bank of America representatives marketed credit card payment protection services to cardholders with an initial 30-day free period. However, the company started charging cardholders right away. Cardholders were enrolled in services immediately despite that they'd only agreed to receive additional information. Finally, Bank of America telemarketers misrepresented the benefits of the payment protection services. In addition to misleading customers about payment protection services, Bank of America unfairly charged cardholders for its identity protection services. In this case, cardholders were billed for the credit monitoring services before the services actually began. Some cardholders were charged interest on the unfairly billed services and others incurred a fee for exceeding their credit limits. In addition to the $727 million refund to consumers, Bank of America is required to pay a $20 million and $25 in civil penalties to the CFPB and the Office of the Comptroller of the Currency. In December 2013, GE Capital Retail was required to refund $34.1 million to cardholders who signed up for its CareCredit health care credit card after being deceived about the interest-free promotion. Patients sign up for the CareCredit credit card in doctors', dentists', or other medical service providers' offices to help fund health care costs not covered by insurance. Customers were pitched an interest-free repayment plan, when in fact, they were signing up for a deferred interest plan, one that charges full interest if the balance isn't repaid in full after a certain period of time. Other patients were unaware they were signing up for a credit card. They instead believed they were working out an in-house repayment plan with their service provider. As such, many patients were not given the proper credit card disclosures. Also in December 2013, American Express was ordered to refund $59.5 million to cardholders for illegal credit card practices including the deceptive marketing and unfair billing for add-on products like payment protection and credit monitoring. Cardholders were led to believe their payment protection services would provide a bigger financial benefit for a longer period of time than was actually provided. The payment protection product was supposed to be free for balance repaid by a certain period of time. Customers believed this date was the regular payment due date when it was actually the billing cycle end date, a date that preceded the payment due date. Amex failed to fully alert customers, particularly those located in Puerto Rico, about the terms and conditions of its Lost Wallet product. In regards to its, identity theft protection services, Amex began charging customers for the service before the enrollment process was complete. The company also failed to inform cardholders of all the steps necessary to receive all the benefits. Therefore, customers were paying for benefits they did not receive. In some cases, the fees caused cardholders to exceed their credit limits and be charged additional interest and fees. Since the identity theft protection services included a free credit report offer, Amex was supposed to inform customers of their federal right to a free credit report. However, this disclosure wasn't always made. In this action, American Express was also required to pay a $9.6 million fee to the CFPB. In September 2013, Chase Bank and JP Morgan Chase were ordered to refund $309 million to cardholders who were unfairly charged for certain add-on products. From 2005 to 2012, Chase enrolled cardholders in identity theft production and fraud monitoring services without express written consent from the cardholders. Cardholders were billed before the services began (something that's illegal under the Fair Credit Billing Act) and did not receive full benefits of the services. Chase also had to pay a $20 million penalty to the CFPB and a $60 million penalty to the Office of the Comptroller of the Currency. In October 2012, Discover Bank was ordered to refund more than $200 million to 3.5 million consumers who enrolled in the company's Payment Protection, Credit Score Tracker, or Identity Theft Protection services. The CFPB says Discover enrolled customers without their consent, misled customers about the cost of these services, failed to disclose information about eligibility for benefits, and charged customers before fulfilling their promise to first send details about the products. In addition to refunding customers, Discover also has to pay a $14 million penalty to the CFPB and U.S. Treasury. In September 2012, American Express was required to refund $85 million to 250,000 cardholders for multiple incidents. The bank failed to pay a $300 bonus associated with the American Express Blue Sky credit card. Some cardholders were charged excessive late fees. They also violated the Equal Credit Opportunity Act by using age as a factor in a credit scoring system but failing to apply the system to applicants over age 35. American Express subsidiaries led some consumers to believe they could improve their credit by paying old debts when the accounts were actually beyond the credit reporting time limit, which is seven years for most kinds of debt. Your credit score isn't influenced by paying debts that are no longer being reported. The CFPB now requires American Express to notify consumers when they're collecting a debt that is too old to be reported to a credit bureau. Some consumers were told they could accept a settlement offer and have their debt forgiven. However, the debts were not actually forgiven and consumers were later denied an American Express card because of it. To these consumers, American Express has to pay $100 and send a pre-approved credit card offer. Consumers who already paid a settlement to receive a credit card will receive a refund of that debt paid plus interest. American Express will also have to pay $27.5 in penalty fees to the CFPB, the FDIC, the Federal Reserve, and the Office of the Comptroller of the Currency. In July 2012, Capital One was ordered to refund $140 million to approximately two million cardholders after the card issuer deceived customers into purchasing certain add-on services, like payment protection plans and credit monitoring. According to the CFPB, Capital One misled customers about the benefits of the services, failed to inform customers that the services were optional, failed to inform certain consumers they were ineligible to receive benefits of the services, misled to think the services were free, and enrolled without consent. In addition, Capital One made it difficult and impossible for some cardholders to cancel services. In addition to the $140 million penalties, Capital One was required to pay a $25 million penalty to the CFPB and a $35 million penalty to the Office of the Comptroller of the Currency. In each case, refunds were made automatically with no action necessary on the part of affected cardholders. Those who were still customers of the offending credit card issuer would receive a credit to their accounts. Former customers would receive a check in the mail in the amount of the necessary refund. Contact the credit card issuer directly if you believe you were entitled to a refund but did not receive one. Is it Time to Look for Credit Card Price Protection Alternatives?